Online generated, no uploading of GPX files required. No installation of software is needed. 100% Mac friendly. Can be added to your Geocaching.com profile in two different ways. One of them will automatically update itself without your interaction. 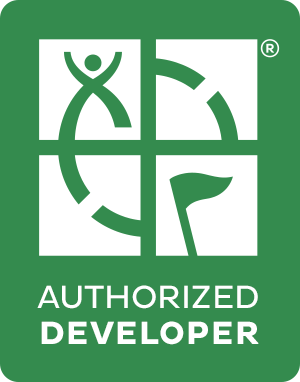 Actively developed, you can expect new modules to be created with time. 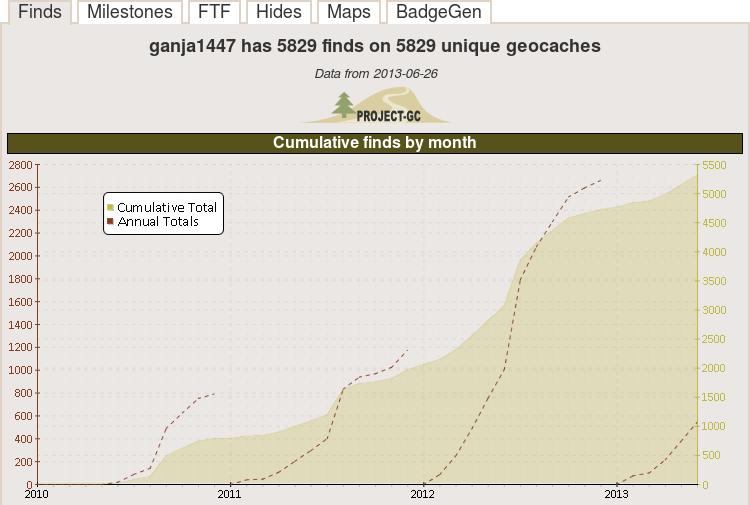 Supports FTF tags in logs to detect which geocaches you have been First to Find on. No need to tag them in any external softwares. It's free to use for anyone with a Geocaching.com account! Below follows some screenshot from the Profile stats of the site owner. 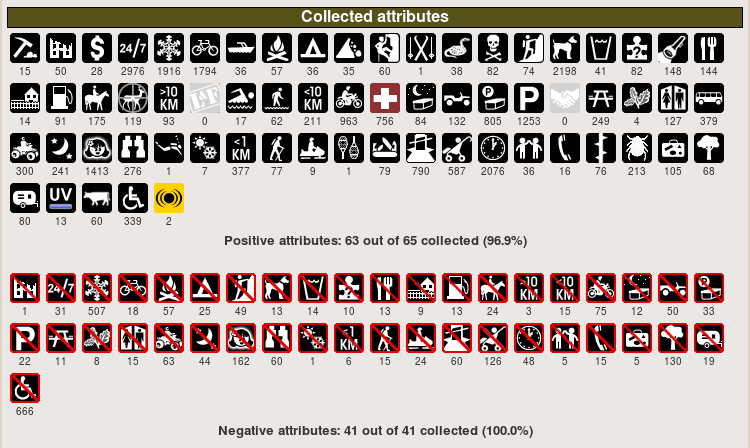 His complete stats can be seen here or at Geocaching.com. With the Profile Stats from Project-GC you will get a tab oriented layout automatically. This will make it easier to find what you are looking for and keep it consistent between different profiles. Tabs that are not used are automatically hidden, for example. If you have zero hides, the Hides tab will not be shown. Easily shows you how many finds you have made for each of the 81 different D/T combinations. You can even toggle it between the most common cache types. Get auto generated maps over your finds. World maps, continent maps and country maps are created for you. 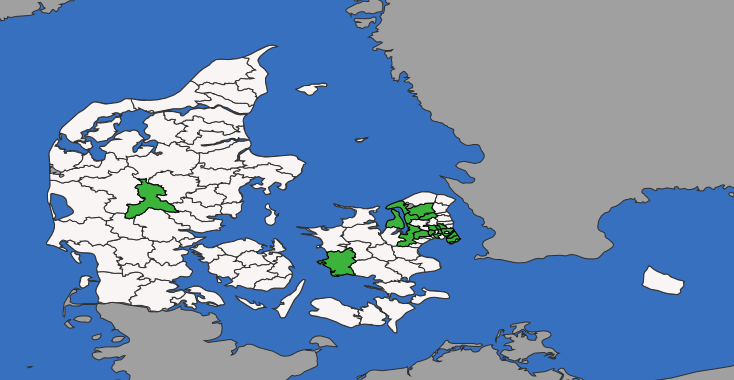 The country maps can be toggled to show which regions and counties you have logged a cache in within that country. The site automatically detects First to Finds from tags in your logs. No need to tag them in any external softwares. In the Profile Stats you will then find a complete list of all your FTFs, a DT chart and more. See which attributes you have logged and how many you have logged of each. Under the Hides tab you will also be able to see which attributes you have used on your own caches. Get a chart over which dates you have found caches on. 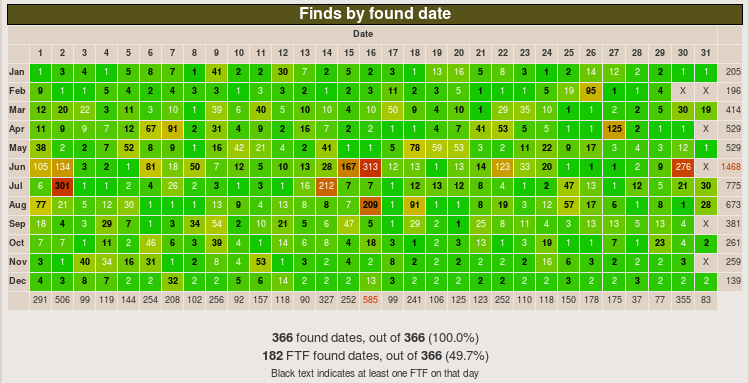 There is also another chart showing which hidden dates you have found caches on. Statistics about caches that you own are included. This is just one of the many charts. BadgeGen has been implemented with permission from the author. 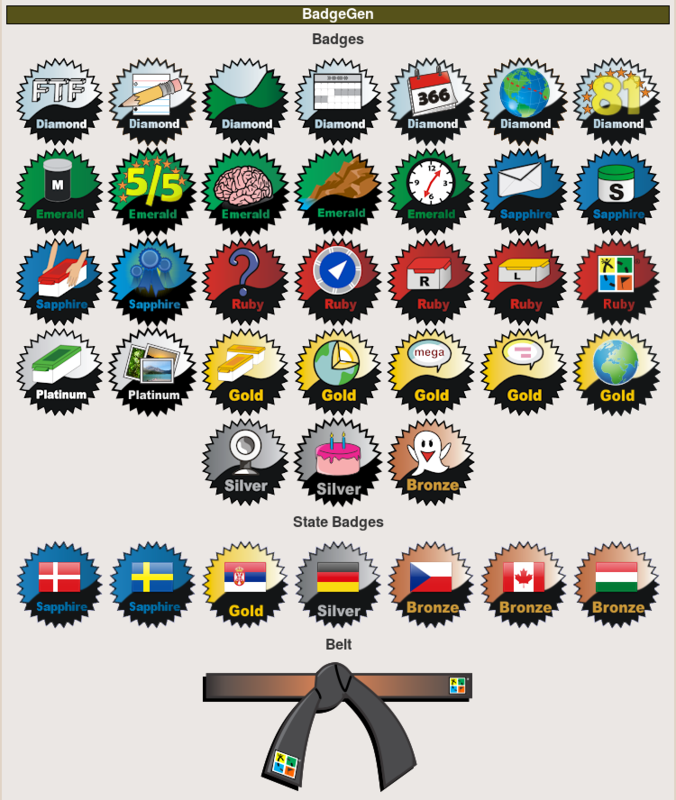 Here you will find which badges you have, including State badges. The BadgeGen belt is of course also included.